Tokico HP Performance Suspension Kit: Tokico HP (Non-Adjustable) Performance Shocks/Springs Suspension Kit take the guesswork out of having the right suspension combination. Matched spring rates and proper ride height insure proper fit and function. Tokico performance lowering springs are manufactured with chrome silicon spring alloy and are heat treated, shot peened, block set, phosphate treated, and powder coated and also carry the same Tokico lifetime warranty. 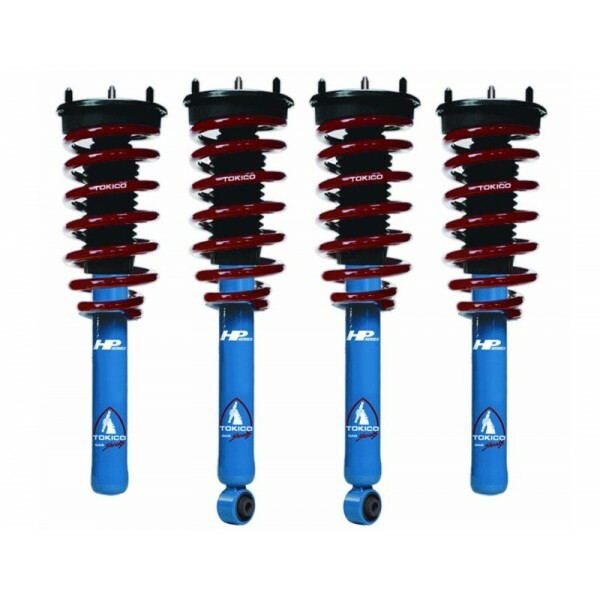 Tokico HPK (Non-Adjustable) Suspension Kit comes complete with 4 shocks and 4 springs to deliver the ultimate combination of handling, ride quality and appearance at an affordable price. 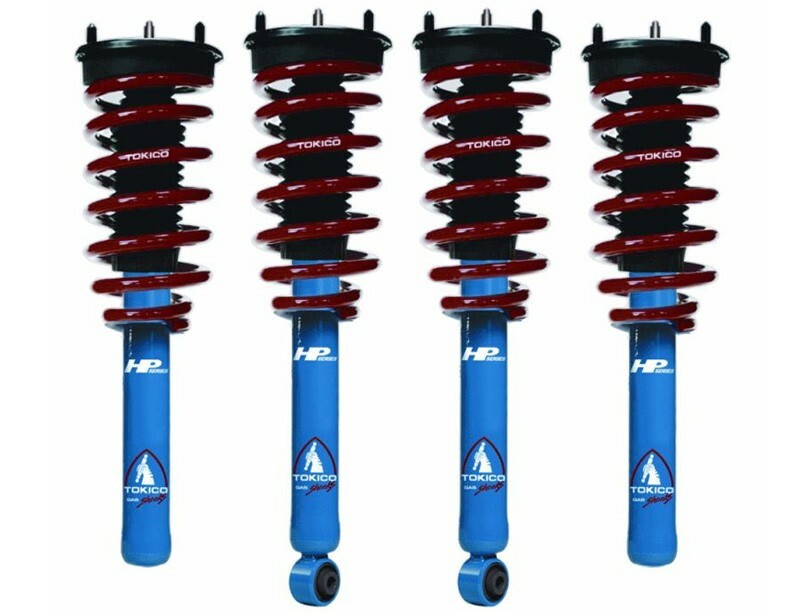 # 4 Tokico HP performance shocks/struts. (Front and Rear) # 4 Tokico Perfromance Springs # *All Suspension System requires professional installation Note: this item takes 3 weeks to ship! !